Plumbing services are an important aspect for all the household as a need of these services can occur any time. Plumbing issues at home, office or commercial premises can crop up at any time and those need to be attended urgently otherwise filth and water will pervade the premises. Defects or problems in such fixtures and installations can lead to clogged drains and sewers, blocking in sewage line leading to overflowing sewage, leaks, damaged sewer or water lines, problems with showers, bathtubs, doors, liners, etc. Apart from defects in installations you also need to install new lines, bathtubs, faucets, showers, water heaters, pipe fittings and valves, water filtration rectification, etc. Though these may not be emergency services, you may need such services at times when you go for any new installation. Emergency plumbing issues in residential areas mainly include clogged drain lines, leaking toilet or faucets, water heater leakage, gas line leakage, hot water outage, clogged showers, cracked sewer lines, leaking washer hose, etc. All these problems need to be attended within a short time. For this, you should keep the phone number of a local service so that you can contact them when the need arises. Emergency issues in commercial premises may include clogged drain lines, grease traps, floor drains, leaking faucets and toilets, etc. At restaurants and hotels, such situations are uncalled for and need to be attended within a short time. Drain cleaning, installation of the water heater, faucet and other accessories are not an emergency in nature but need to be done with the help of Plumbing Services. You may not be able to do them by yourself. To avoid emergency plumbing issues like overflowing sewers, clogged toilets, clogged drains, leaking water heater, etc. you should get a checku p of the whole system done at regular intervals. This will save you the embarrassment of calling plumbing services during odd hours of the day. Call your local plumber to have a check-up of the system and diagnose problems, if any. Your plumbing installation may need up gradation or fittings may need to be changed. The plumbing services are adept at checking up every valve, drain, pipe, angle, faucet, line and all the other parts of your plumbing installation. The system may need maintenance, repair and even clean. The material may be depositing in bends and other areas and may create problems in future. Cleansing the system of this sludge will help avoid any emergency issue. The system may also need minor repair works which can be attended to in time otherwise such minor faults can give way to bigger ones and lead to emergencies at odd times of the day. If tree roots are getting into the drainage system be sure to uproot the tree otherwise you may have to face serious plumbing issues at odd hours of the day. Some plumbing services also have cameras for inspection of the installation. This is very helpful in identifying problem areas throughout the installation. 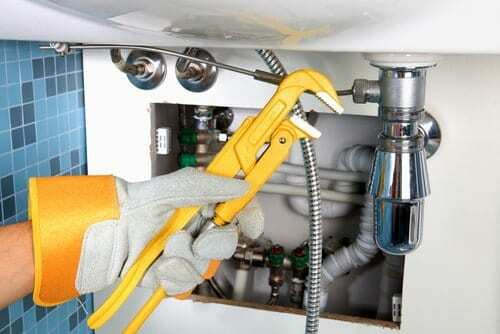 Plumbing Services are the different types of repairing, installing and maintenance services that one can avail from the many professional plumbing companies operating. These companies have a team of certified plumbers who have years of experience of tackling of types of plumbing crisis. These companies have a highly professional approach towards their work and strive for customer satisfaction. The team is equipped wall the latest machines and Equipment like hydro jetting device or rooter machines, to solve plumbing problems perfectly. Moreover, such companies work through the year with a 24 x 7 service. All one needs to do is call the hotline number and hire an expert plumber to get the issue fixed immediately. The best part of hiring such services is that one can enjoy top quality service at affordable rates. So a customer is in a win-win situation. Pipes, drains and water system are all components of your plumbing system. The plumbing system contains a system of pipes which are interconnected to each other both internally and externally. These pipes are subject for regulating the flow of water in and out of your house. Any blockage in drains, leakage in pipes or low pressure in water pipes are several indications which signify there is some problem with your plumbing system which needs to be immediately looked after. Applying home remedies is okay, but they should not be made substitute to the professional intervention. Plumbing problems if ignored for a long period could become a major headache. If you are questioning why should you prefer professional assist over DIY, then here we have provided you top goals why should you opt for professional help. It will not only assist you save your precious time and money, but also improve the functioning of your plumbing system. Professionals have the knowledge and experience to get the job done right the very first time. They are skilled in what they do. They take the time to analyze the various features of your plumbing system. After carefully analyzing they can suggest you favourable steps to be taken to improve the functioning of your plumbing system. Various tools and equipment are required to clear the blocked passages, perform inspection and get the job done. As a DIY, you might not have all those useful tools and equipment which can make the job easy and hassle free. Los Gatos plumbers have all those useful equipment that can put an end to all your plumbing woes. You need to find time out of your busy schedule to perform home remedies on your plumbing system. By trusting the job with the professionals, you can free up your time to perform various other household activities. You don’t require diverting your attention from other useful household activities to perform DIY efforts on the plumbing system. No matter whether it is mid of night or a festive holiday, professionals are just a call away from you. Understanding plumbing troubles can happen anytime, most of the plumbing companies provide uninterrupted 24*7 service. Therefore, no matter when you experience plumbing problems, you can immediately place a call with Plumbers and they will come to check your pipes. In conclusion, the importance of plumbing services, therefore, is to make sure that they attend to your emergencies as well as your general needs. 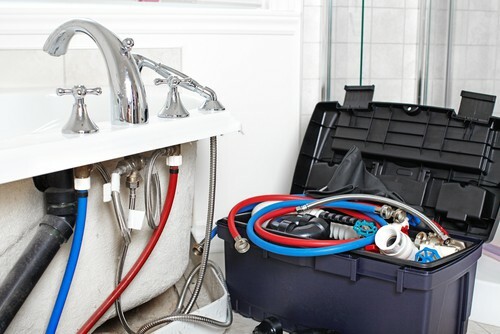 So, if you are facing any of the plumbing emergencies then look for the best plumbing services. 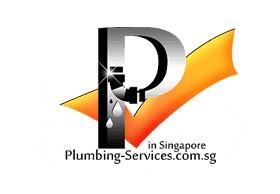 For this, you can find the contact details of plumbing professional either in yellow pages or over the internet. Moreover, ask for the cost estimation to avoid conflicts in the later part.